Here at the Stauer office, we’re honored to work just a stone’s throw from the old galloping grounds of a bona fide equine celebrity. Secretariat, the famous thoroughbred who won the coveted Triple Crown in 1973, was foaled nearby, took his first uncertain steps right around the corner, and then developed into the champion chestnut stallion whose name still rings out around the world. So yes, we’re more than a little proud of our equestrian heritage here. 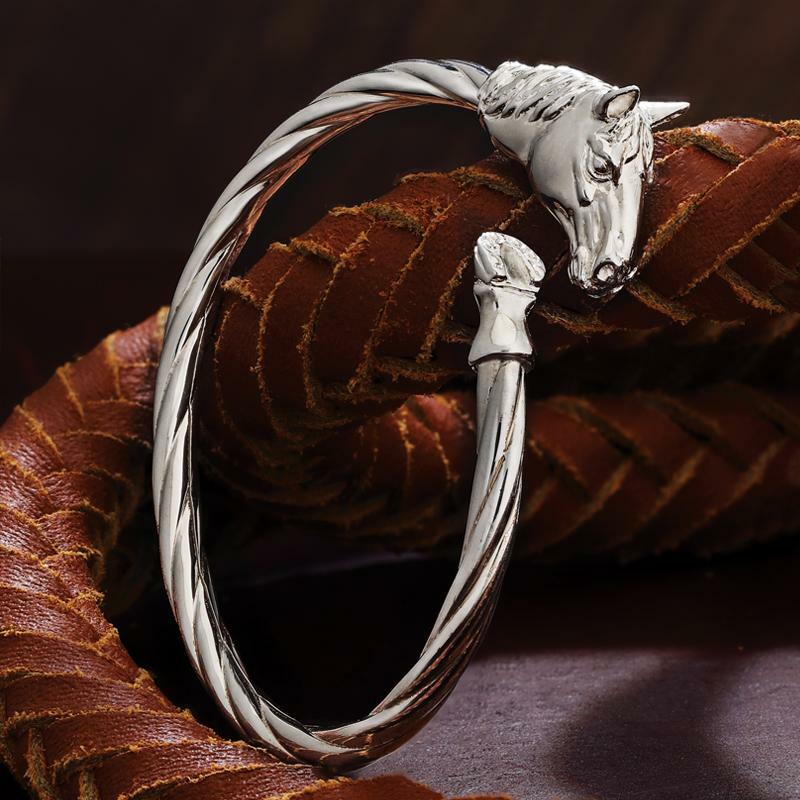 The Cavallo Bangle is handcrafted in Italy, a nation whose silversmith history makes it the thoroughbred of jewelry design. Forged of .925 sterling silver in a majestic horsehead design, the exquisite detail is worthy of the famous horse himself. We found similar equestrian-style sterling silver bangle going for as much as $1,250. But we don’t horse around with pricing tactics that add zeros for no other reason than a fancy name. Include the Cavallo Earrings, in a snaffle bit design, and you’ll be leading the fashion stakes from start to finish.